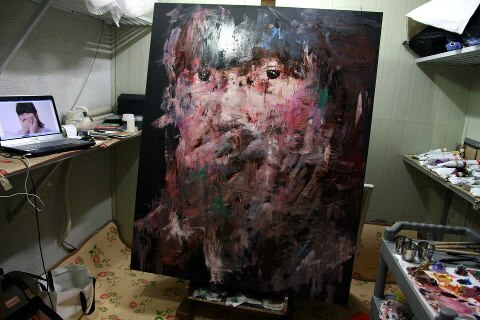 A work in the artist's studio. 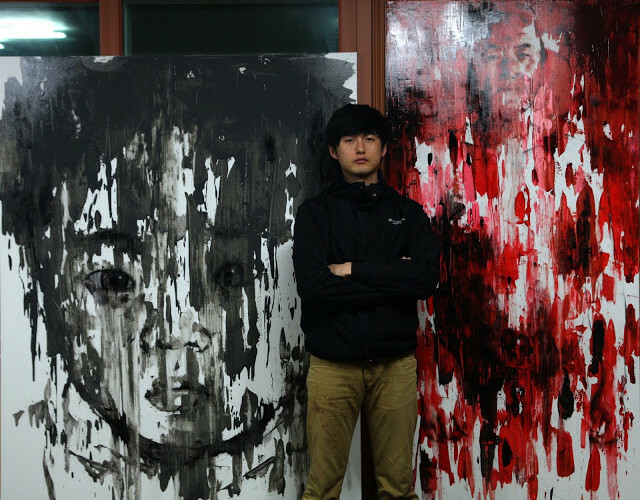 KwangHo Shin is a graduate in fine art from Keimyung University in South Korea. 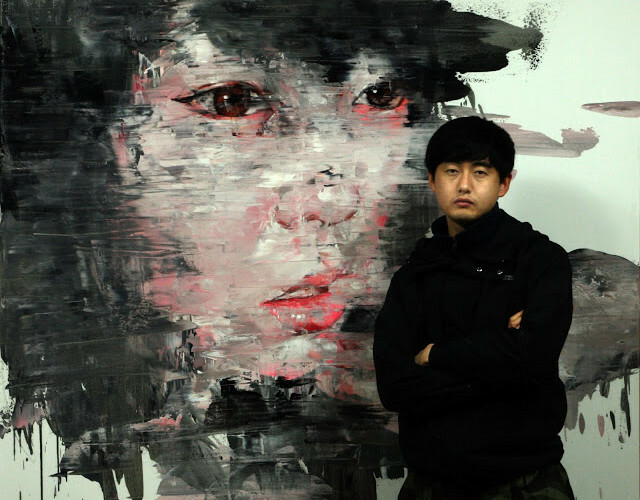 This young, emerging artist based in Seoul is rapidly becoming known around the world for his portraits of people, characterised by a particular focus on his subjects’ eyes. With arresting colors and abstract paint strokes, he uses oil and acrylic to create his stunning portraits which range in size and price, starting at $320. This year he is already scheduled to have 5 exhibitions so our advice would be to strike now and invest in an art star of the future.